Happy workers will be more productive workers! In this heartwarming handbook, best-selling author, Barbara Glanz gives you 180 morale-boosting ideas to help you bring more caring, communication, respect, and appreciation to the place where you work. 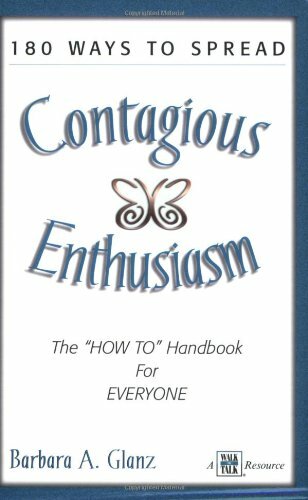 Whether you are an employee or a manager, you can learn to “spread your contagious enthusiasm” and make a difference every single day!